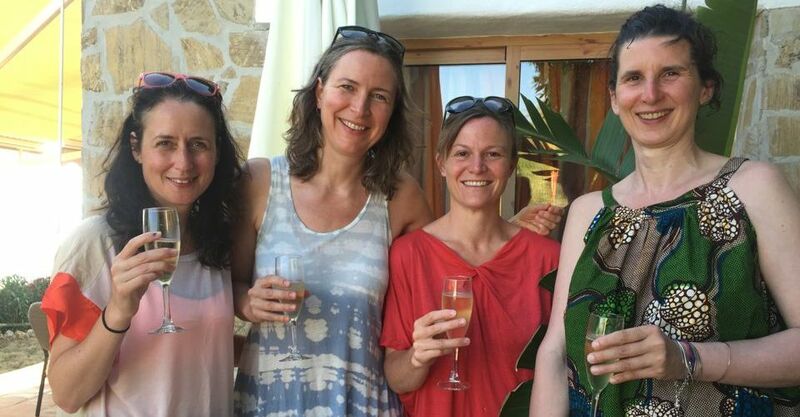 Join Diana Shipp for a Yoga Holiday, in the mountains of southern Spain. 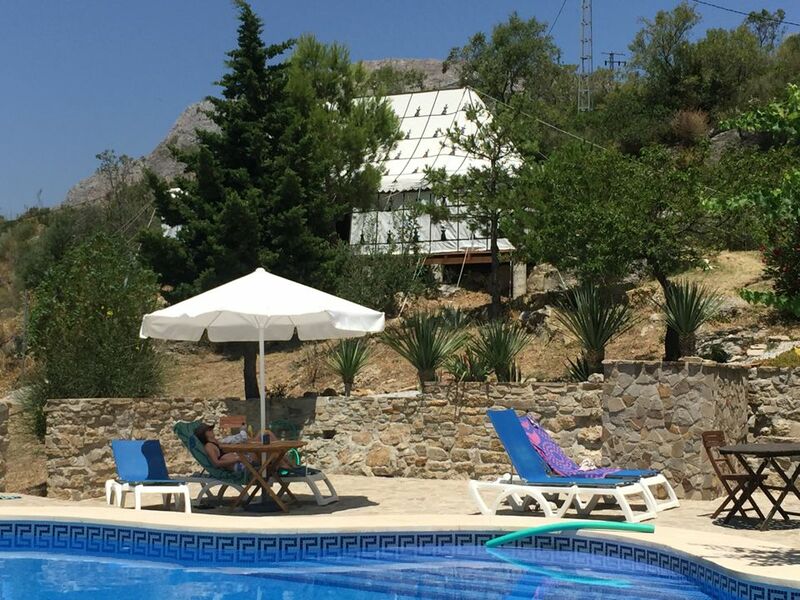 Our home for the week is the delightful ‘Source of Light’ near Periana, about an hour north of Malaga. Single, en-suite room £630 – there is no single supplement. 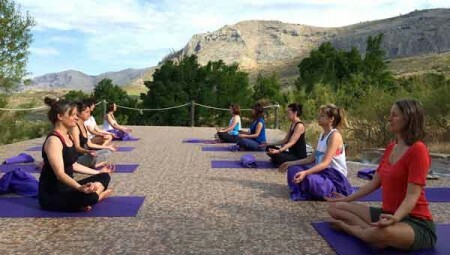 Get away from it all on this yoga holiday in the mountains of Andalucia. Enjoy breath-taking views, across olive groves to Lake Viñuela and down to the Mediterranean Sea. You may well spend the whole week without leaving this little bit of paradise! Unwind and de-stress as you practice yoga and meditation, read a great book, swim in the salt-water pool, or walk on local footpaths. Get healthy with the delicious vegetarian food, including a raw food, snack-lunch. We provide breakfast every day, with lunch and dinner on 6 nights. Be charmed by the distant tinkle of goat bells during morning yoga, and relax in the shade of the fabulous Moroccan tent for our afternoon sessions. Massages and other healing treatments on site. We will have one free day. You might like to walk along the quiet mountain track into the town of Periana – about 2 hours away on foot. Or simply stay put and enjoy a meal in El Cañuelo’s only restaurant/bar – conveniently situated at the bottom of the drive. If you feel like exploring, our hosts provide trips to hot springs, the beach, and other destinations. I have been running holidays at this popular venue since 2007. Malaga is to reach from many regional airports. You’ll find plenty of time to relax between yoga classes. Unwind by swimming in the outdoor pool or lying in the shade with a good book. On our day off, you can explore the locality or stay put and perhaps enjoy one of the fabulous massages on offer. Rejuvenation guaranteed! Our hosts, Richard and Better provide everything you need for the perfect stay.